Lemax Snowman Street Lamp Set of 2 lighted miniature village accessory depicts a pair of novelty Christmas street lamps to compliment a Lemax seasonal village display. Two delightful battery operated miniature Lemax lighted lamps scaled and themed for placement in and amongst your Lemax village scene, to add illumination and enjoyment to a Christmas setting. 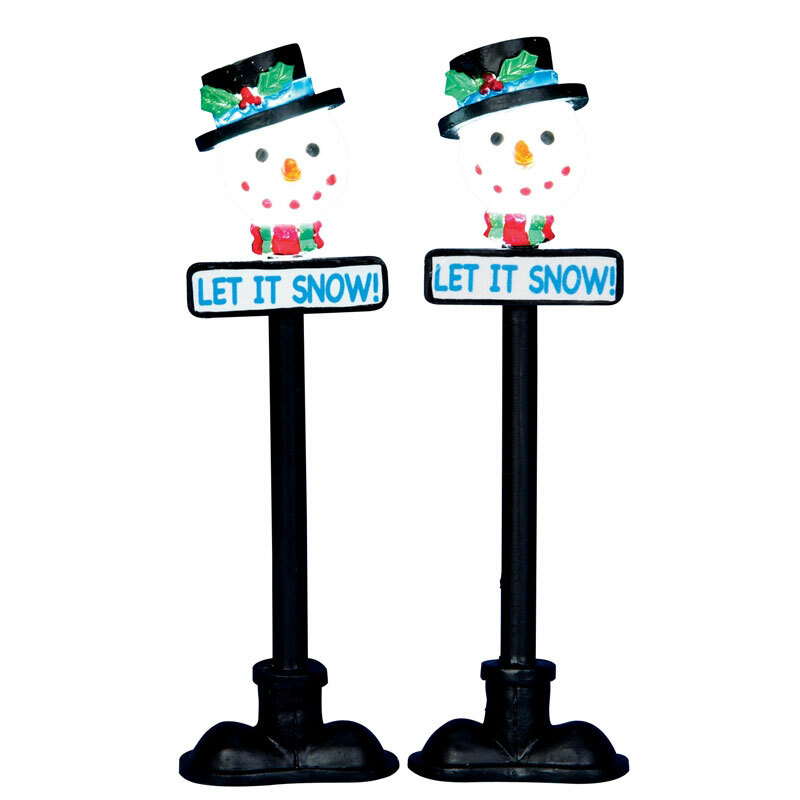 The 10cm tall lighted snowman street lamps are self standing and placed on two individual black boot themed bases. Snowman faces illuminate by battery power as standard (AC mains adaptable). The lamps are powered by an external battery pack with wire length suitable to hide battery unit from sight in your display. Lemax Snowman Street Lamp is a recent lighted accessory addition which joined the growing Lemax Village collection in 2013.